Twinkling lights, Salvation Army bells, the aroma of fir trees and wood burning fireplaces in the air delighting our senses. These are just a few of the things that compensate for shorter days and colder days of the season that make a New York winter so special. 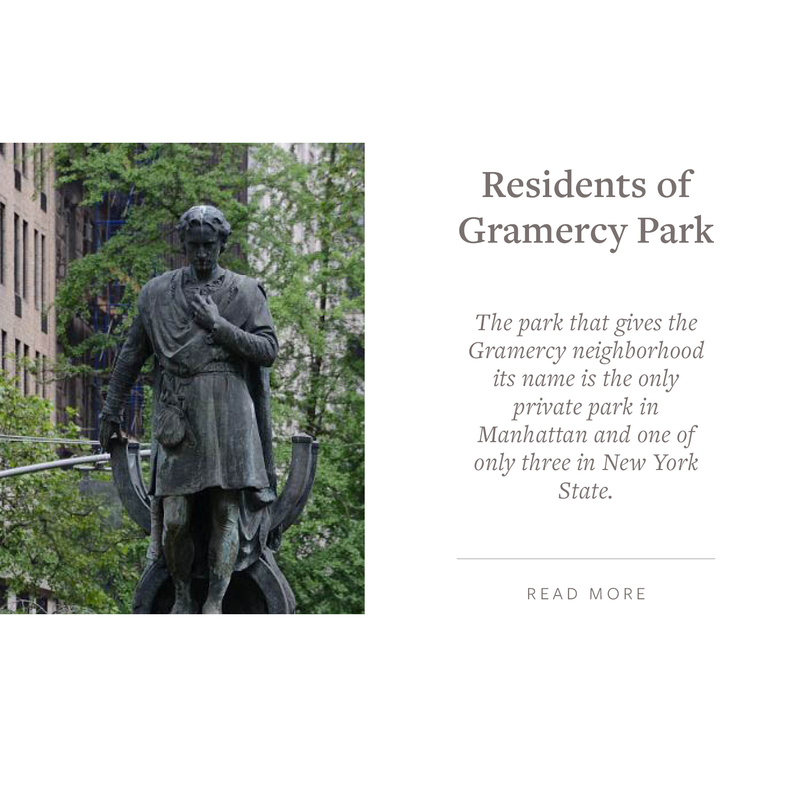 This month’s Culturally Inclined focuses on Gramercy Park (“Gramercy”) encompassing time-honored eateries and hotels, a landmark tour, local real estate market report, home furnishing and design shops, the National Arts Club, history of the private gated park with its original wrought-iron fence from which the neighborhood takes its name and so much more. Typically you would require a “special key” to enter Gramercy Park, however, on Christmas Eve – Sunday, December 24th for caroling and hot coco the doors are open to the public for FREE at 6PM. 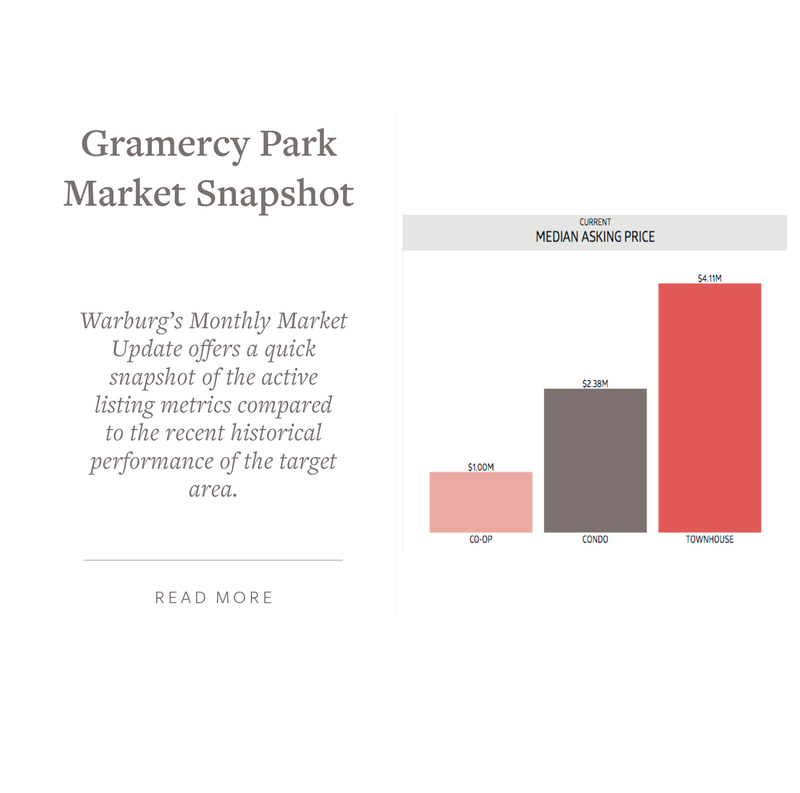 Per a Wall Street Journal article by Stefanos Chen dated May 17, 2017 entitled “Gramercy Park Access: The Key to Higher Home-Sale Price”, “residences with keys to the exclusive private 2-acre Gramercy Park garden sell for a premium of about $292,000”. Per the article there are 39 buildings directly on the park that receive keys and only 383 keys are in circulation. Nearby at Madison Square Park annual tree lighting and holiday festivities is on Tuesday, December 6th from 3:30PM to 5:30PM. Gramercy, the land once a swamp called “Crommessie”, derived from the Dutch “Krom Moerasje”, meaning “little crooked swamp” originally owned by Peter Stuyvesant, a Dutch director-general and part of the land purchased by James Duane, the first Mayor of New York after the Revolution, became known as Gramercy Farm. Then reimagined by Samuel Ruggles, lawyer and politician devising one of the first planned communities on the Island in 1831. The Farm was converted into a unique ownership plan: “the surrounding 60 lots would own a 1/60th share in the park, making Gramercy Park the city’s first successful experiment in cooperative ownership”. The area was designated a Historic District Landmark in 1966 and expanded in 1988. The neighborhood’s boundaries are 14th Street to the South, Third Avenue to the East, 23rd Street to the North and Park Avenue South to the West. 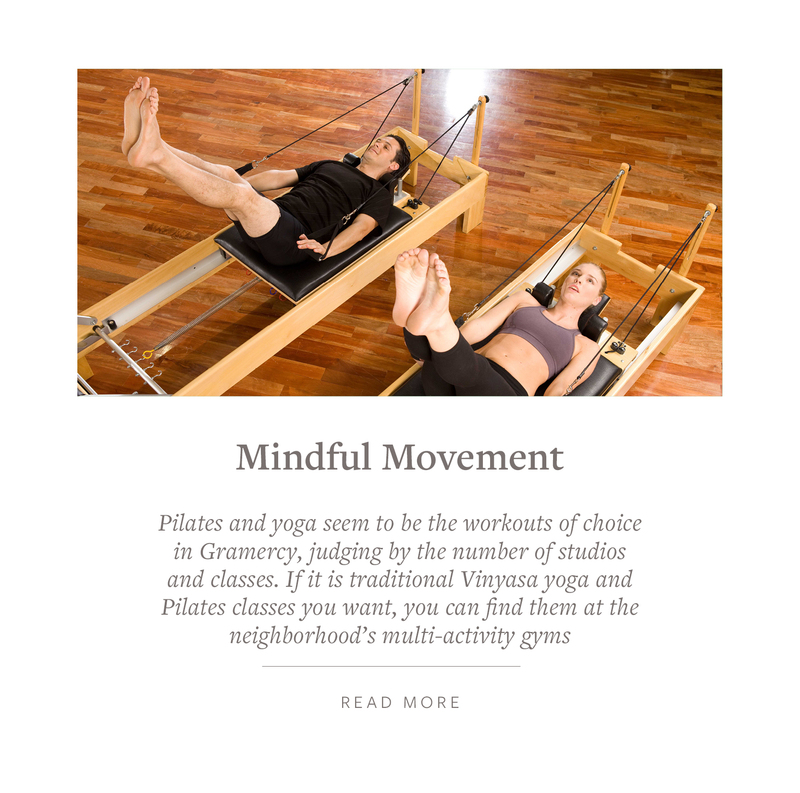 Frozen in time, the quiet enclave depicts the charm of yesteryear – residences are in the Greek, Gothic, and Colonial Revival and Anglo-Italianate styles. Through the passage of time the Gramercy Park neighborhood is where the Bloomsbury set: intellectuals, philosophers, bankers, politicians and artists resided and mingled. 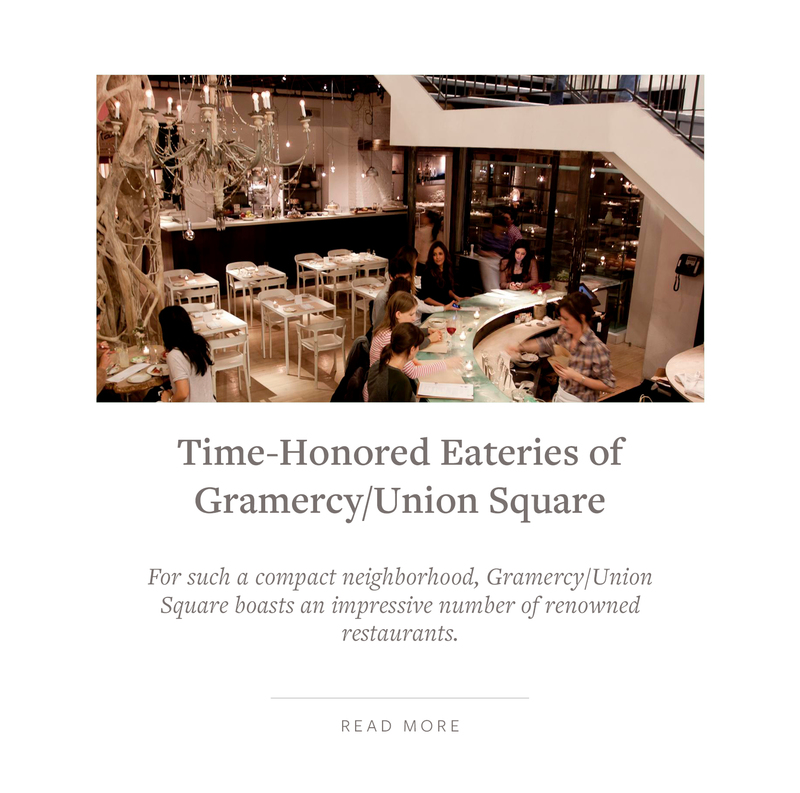 As you walk through Gramercy, you are transported back to the days of gas-lights and the sounds of trotting from horse drawn buggies. 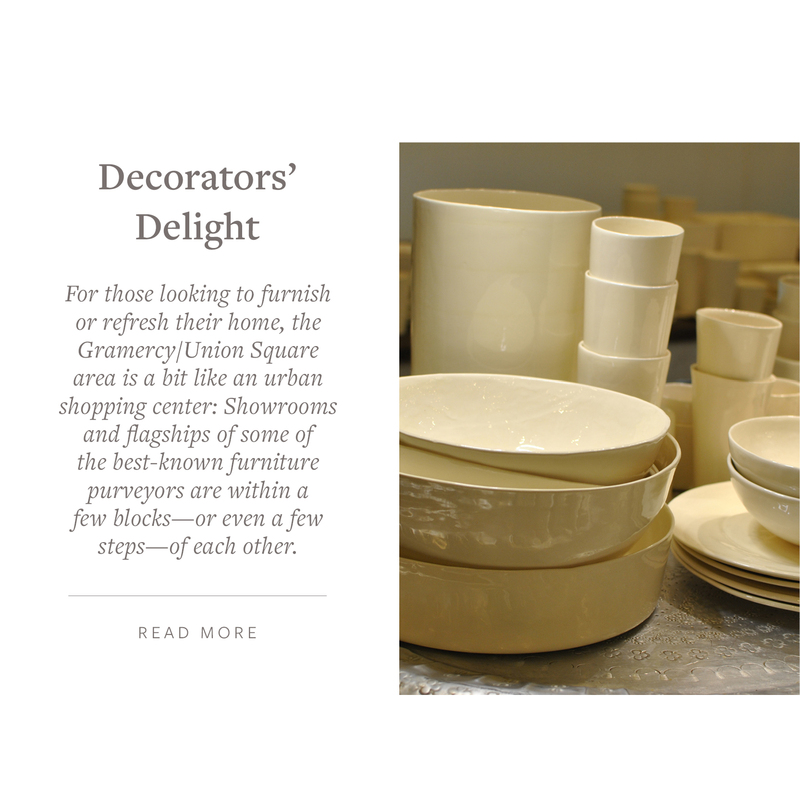 The neighborhood is now one of the most desirable locations to live in Manhattan. 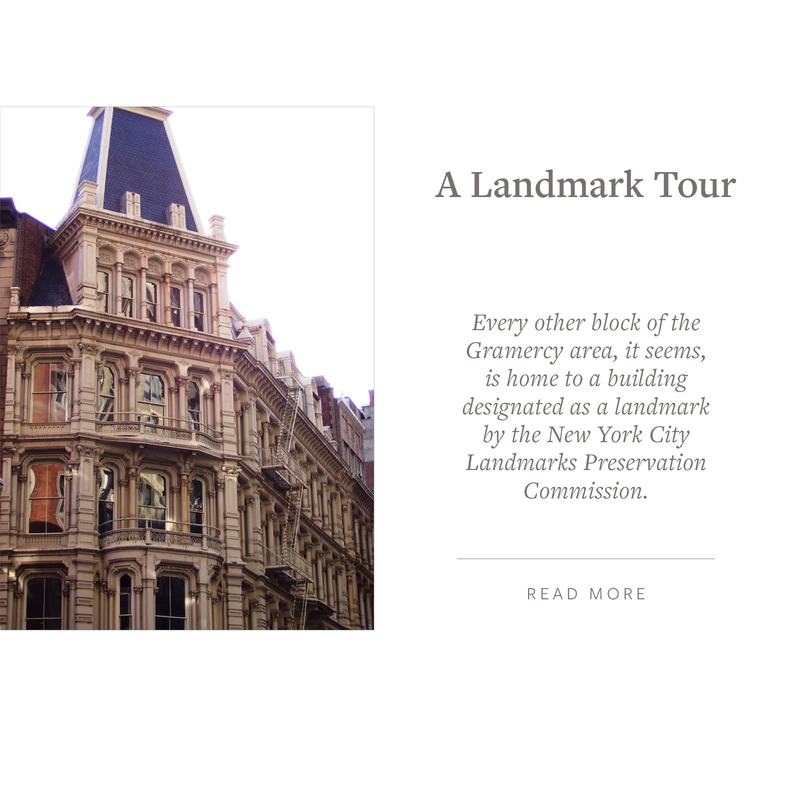 Take a literary | architecture tour and have a look at historical sites and imagine their storied past: National Arts Club – 15 Gramercy Park South established in 1884 a Victorian Gothic Revival mansion was originally home to the New York Governor and 1876 Presidential candidate, Samuel J. Tilden and in 1898 became a private club to foster interest and education in the fine arts (art exhibition open to the public). 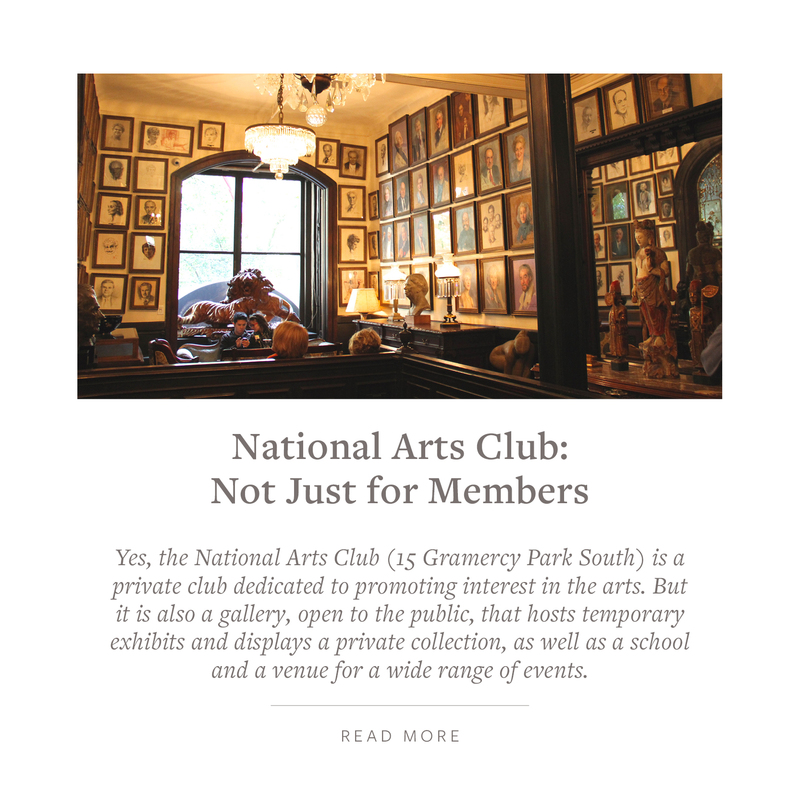 Next door, the Player’s Club – 16 Gramercy Park South was once the home of the great Shakespearean actor of the 19th century Edwin Booth and the brother of John Wilkes Booth, the assassin of President Abraham Lincoln. A few buildings of note are 18 Gramercy Park South, built in 1927, a hotel formerly the Salvation Army’s Parkside Evangeline residence for women, then the School of Visual Arts and converted to a 17 story condominium building by Robert M. Stern. 19 Gramercy Park South, also known as 86 Irving Place or the Stuyvesant Fish House, a four-story row house located at the corner of Gramercy Park South (East 20th Street) and Irving Place built in 1845 by William Samuel Johnson, a politician and expanded by Stanford White and later gained prominence when the son of wealthy railroad executive Hamilton Fish descendant of Peter Stuyvesant purchased the home. While there are a number of other famous people who lived in this mansion, the home played a central role to author Jack Finney’s novel Time and Again. During the winter months the legendary 18-story Gramercy Park Hotel is the place to warm up by one of their two large crackling fireplaces or have a drink at the bar. The hotel was designed by Robert T. Lyons and constructed by famous developer brothers Bing and Bing, and was built on the site where Pulitzer Prize-Winning novelist Edith Wharton was born and where architect Stanford White had lived. Nearby, Pete’s Tavern at 129 East 18th (previously called Healy’s) circa 1864, is one of the oldest continually operating drinking establishments in New York where classic short story writer O’ Henry frequented. Legend has it that in a booth at Pete’s Tavern on December 10, 1905, William Sidney Porter, under the pseudonym O. Henry, published a short Christmas story “The Gift of the Magi” in the magazine New York Sunday World. The House at 121 East 17th Street, is an old carriage house and a perfect spot for brunch, dinner or to have a spirit by the fire listening to jazz. Old Town Bar and Restaurant -45 East 18th circa 1892 is a perfect meeting spot before or after the movies. The Friend of a Farmer pioneered farm to table cuisine and the restaurant to go to when craving a chicken potpie. 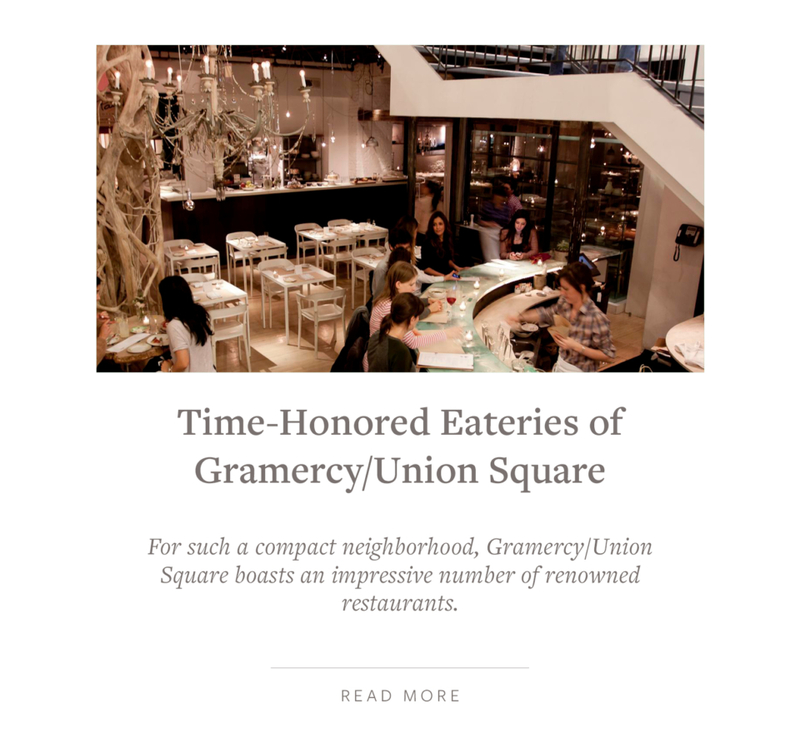 Other restaurants to try in the area include: The House – 121 East 17th Street, Union Square Café – 10 East 18th Street, Gramercy Park Hotel’s restaurant Maialino by award winning chef Danny Meyer and event space on the Gramercy Terrace, Michelin-starred Spanish restaurant Casa Mono & Bar Jamon – 52 Irving Place, BLT Prime Gramercy – 111 E 22nd Street, Gramercy Farmer and Fish – 245 Park Avenue South and a treasure Lady Mendel’s Tea Salon originally built 1834 brownstone and now located in The Inn at Irving Place. The city metamorphosis continues even in the coveted Gramercy Park area. Anticipated occupancy is late fall 2018 for 200 East 21st Street condominium, the latest addition to Alfa Development Green Collection of properties in partnership with BKSK Architect, and interior designer Champalimaud targeting LEED-Gold Certification. 88 &90 Lexington is a rental condo conversion of two buildings: an art deco classic built in 1927 and a 1950’s building (one classic 19 stories- 71 apartments and one modern – 13 stories with 49 apartments) that were rentals in 1977 and converted to condos in 2015 by developer HFZ Capital and architect Workshop ADP. This is a full service building comprising over 8,000 square feet of amenities for health and leisure including a 60-foot swimming pool. 121 East 22nd (alternatively 122 East 23rd Street) is a new two-towered condominium, which is Rem Koolhaas’ first NYC building with firm OMA in concert with architect Shohei Shigematsu – SLCE, a LEED certified 18 story 133 condominium residence with amenities such as shared court yard, pool, children’s playroom, a screening room, robotic parking. Expected completion is year-end 2018. CODA – 385 First Avenue (southwest corner of 23rd St) the 21 floors with 103 apartments was developed by Magnum Real Estate Group and designed by Gerner Kronic and Valcarel with interiors by renowned D’Apostrophe with two and three bedroom options and full amenity space including a Wright Fit Gym, roof deck and residents’ lounge. Gramercy Square – 241 E. 19th Street developed by Chetrit group and Clipper Equity LLC and designed by Woods Bagot architects is the conversion of Gramercy’s former Cabrini Medical Center into housing across four architecturally distinct buildings (215 East 19th Street (The Tower) – 17 Floors with 130 apartments | 225 East 19th Street (Prewar 1931) – nine floors with 48 apartments | 220 East 20th Street (Boutique) – eight full floor residences| 230 East 20th Street (the Modern; contemporary style) seven floors with 31 Apartments interconnected by exceptional spa-like wellness driven amenities such as: 20,000 square feet of private outdoor space, rooftop terrace with outdoor kitchen, seating and lounge areas, 18,000 sqft, and a 75-foot sky lit pool. And close by in the NoMad “North of Madison” district are two other distinctive condominium projects: 400 Park Avenue South, Pritzker-Prize winning architect designed 400 PAS has two remaining sponsor units (both 3-bedroom, 3-bathroom and nearly 2,700sf – Units 24C and 25C), sun drenched with city and river views; floor-to-ceiling windows and an array of amenities including a swimming pool. 277 Fifth Avenue (between 28th & 29th) a new full amenity 55-story condominium tower offering 130 condominium residences by architect Rafale Vinoly. During this holiday season reflect on all that is good in your life and the journeys you desire to undertake in the coming year. Wishing you great joy for the holiday season. I look forward to supporting your new year’s goals and if you know of anyone who could benefit from the services and support I provide I would appreciate the opportunity to help them. Thinking of you this holiday season. "Karen was very responsive and helpful throughout the home purchase process for my wife and I. She was readily available to chat when needed, took care of answering our questions (or pointing us in the... continued"